Testosterone is the male hormone produced naturally in both men and women. In men testosterone is produced by the testes, and in women the ovaries produce the hormone testosterone. Men produce more testosterone than women. What does Testosterone in Men do? What Causes Testosterone Levels to Change? 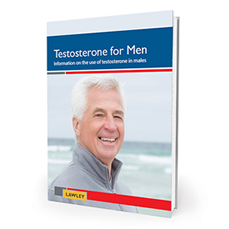 Male testosterone levels can be affected by a number of different factors. These can include external factors such as aging, smoking and alcohol abuse, or they can be the result of testicular or brain disorders. More detailed information about testosterone deficiency is outlined on the next page.